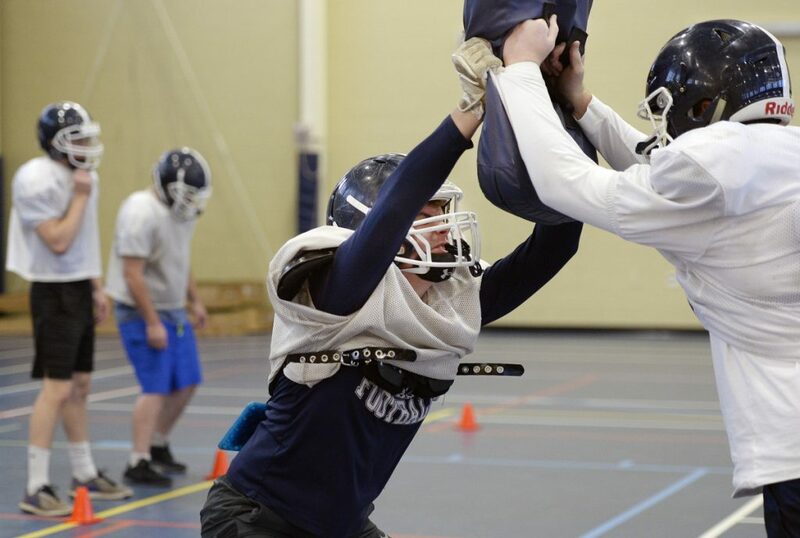 FRYEBURG — The Fryeburg Academy football program has been good in recent years, with four straight trips to the Class C South semifinals. But the Raiders figured going into this season that they had something special. Then, in their opening game, the Raiders lost 36-14 to Class D Lisbon. 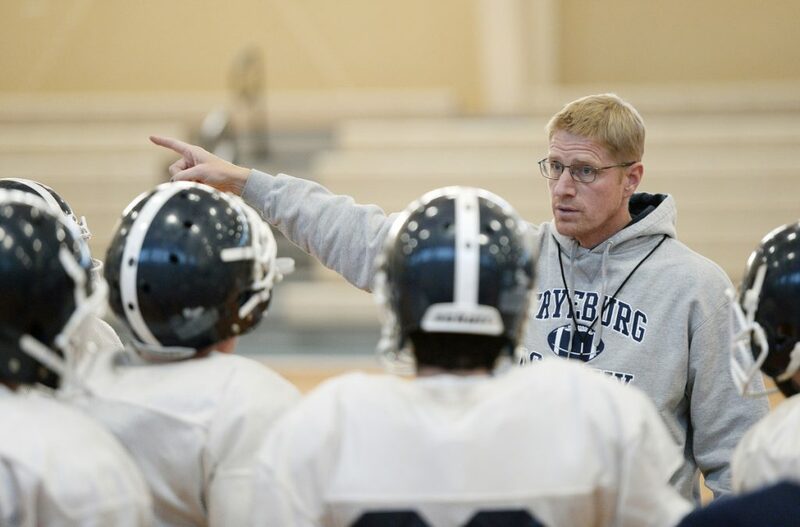 Coach David Turner has a long history with the Fryeburg football program dating back to when he played for his father, and now he has his team in the Class C state final. “That first week showed we needed reps,” center/linebacker Tucker Buzzell said. “We had guys who were in new roles. Job 1 was defense. After giving up 36 points in the opener, Fryeburg allowed 33 points the rest of the regular season. In the Raiders’ 20-13 win Saturday night over Leavitt for the C South title, they gave up two touchdowns for the first time since the Lisbon game. “Our defense is aggressive, not overwhelmingly flashy. Just sound,” Fryeburg Coach David Turner said. The Raiders (10-1) play Nokomis (7-4) for the state championship at 2:30 p.m. Saturday at Fitzpatrick Stadium. The teams have had only one common opponent, Leavitt, which lost twice to Fryeburg but beat Nokomis 25-6 during the season. The Warriors went into the Class C North playoffs as the No. 4 seed but upset top-seeded Maine Central Institute and No. 2 Hermon. Nokomis likes its defense, too, winning its three playoff games by a combined score of 64-12. “They’re active up front with a good front four and aggressive linebackers,” Turner said. Fryeburg is in a state championship game for the first time. In preplayoff days, Fryeburg won a Class C title in 1963 and shared the B title with John Bapst in 1965. Turner graduated from Fryeburg in 1988 after playing for his father, Dan. He’s in his 24th year on the Raiders’ staff – the 11th as head coach. And now Fryeburg is going to the state championship game. Turner says depth has been a big factor in the team’s success. Several players go both ways, but Turner has been able to rotate in others. The defense is headed by two of the three captains – linebackers Buzzell and Reese Kneissler. Nose guard Arnold Jaber is flanked by ends Josh Frye and Ali Mahan. Jack Campbell and Calvin Southwick are the outside linebackers, with platoon help from Kempton Maillett, Charlie Stokes and Ethan Burk. Among the defensive backs are Oscar Saunders, Caleb Bowles, Isaak McKenney, Dawson Jones, Nathan Knapp and Liam Chisari. Saunders is also the quarterback, and the other senior captain. He has been a two-way starter since his freshman year (receiver/defensive back) and brings versatility to the quarterback role. In the regional final, Saunders connected for touchdown passes of 78 yards to Knapp and 17 yards to Bowles. Southwick is the top running back, relying on the Warriors’ stellar offensive line – Buzzell, Frye, Jaber, Maillett and Kneissler. Turner said the offensive line “is the key,” against Nokomis. Turner is not the only one who has grown up around the academy. Saunders’ father, Sedge, has been the boys’ basketball coach for 20 years. Turner hesitates to say if this is his best-ever team, although it already is the most accomplished. “It is tough comparing,” he said. “We have more depth than we’ve had. And we got more kids who have been in the weight room. Amazing how that helps. “We were in the semifinals for four straight years. We were a pretty good team. We just ran into some really good teams.